This 2018 Jaguar F-PACE SVR is sparkling fresh, off the assembly line and it has finally made its way into the luxury field. It has been welcomed with great admiration by car lovers and ready buyers. It is a package with elegant class – super exciting to drive, has enough space to contain you, your friends or family while giving you the option to have a fuel-efficient drive based on the extent of fun you desire and your engine selections. Now, let’s take a deep dive and show you all the amazing features and all-round class offerings that you get from the 2018 Jaguar F-PACE SVR — everything you need to know about the car’s price, power, performance, specs, and release date. Did you know that this class-leading utility SUV is the fastest and most powerful version of the car ever made? Yes, in fact, this SUV won the 2017 World Car of the Year and World Car Design of the Year in its standard specification. 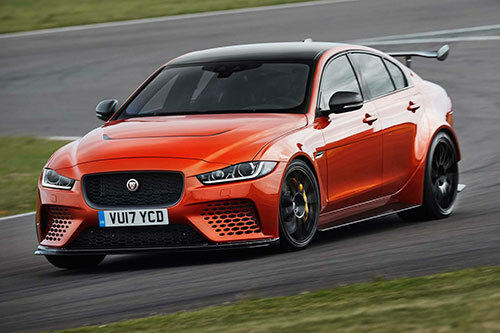 The 2018 Jaguar F-PACE SVR was unveiled at the New York Motor Show 2018. 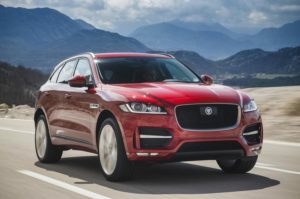 You’ll likely be cross-shopping this Jaguar against smaller crossovers because it matches up with the rest of the class offerings in terms of price and power. Nonetheless, the cost of the new 2018 Jaguar F-Pace SVR starts at a competitive price of £74,835 in the UK and it is available to order from Summer 2018. The F-Pace SVR comfortably sits on new, lightweight forged 21-inch and an optional 22—inch alloy wheels – which are wider at the far rear, apparently improving handling. 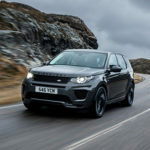 It features an uprated chassis and progressive front and rear springs, which are 30 and 10 per cent stiffer respectively. The 2018 Jaguar F-PACE SVR’s body has been altered with, unique wheel arch extensions and lower body mouldings providing a low-slung muscularity. 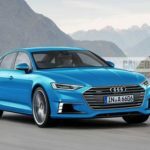 The car’s aerodynamics has been improved and now includes larger air intakes at the front and side fender bents that can provide cooling. The bonnet features an exclusive design and at the rear a spoiler and a new bumper with quad tailpipes completes the exterior upgrades. 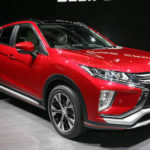 The car comes with All-Wheel-Drive as standard, along with Adaptive Dynamics suspension, Electronic Power Assisted Steering (EPAS) and Dynamic Driving Mode. Phew! See this classic Jaguar in motion. Isn’t this amazing? The 2018 Jaguar F-PACE SVR is a compact luxury SUV that seats five. You have six main trim levels to choose from: base, Premium, Prestige, R-Sport, S and Portfolio. Are you curious to know what the engines are about? 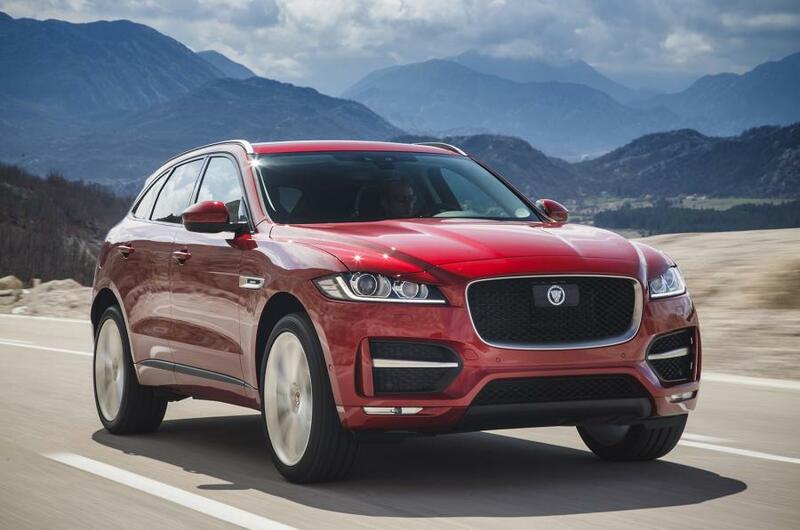 This Jaguar F-PACE uses four engine designations: 25t, 30t, 35t and 20d. 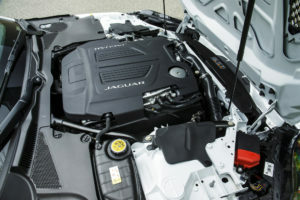 A closer look at the engine shows that the 25t features the new turbocharged 2.0-liter inline-four good for 247 hp and 269 lb-ft of torque, and the 30t version of this engine makes 296 hp and 295 lb-ft of torque. The 35t has a supercharged 3.0-liter V6 (340 or 380 hp, and 332 lb-ft of torque). The 20d and its turbocharged 2.0-liter diesel (180 hp, 318 lb-ft) offer maximum fuel economy. 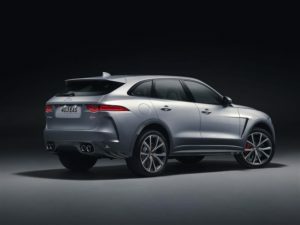 When you think of your dream car, the 2018 Jaguar SVR F-PACE, and you are about to buy it, you will be thinking about the systems, features and unconsciously looking out for the feel and comfort inside this class-leading utility. Let’s cover all these points for you, below. The overall comfort in the F-Pace is superb, especially with the optional seat ventilation, which works wonders on a warm summer day. 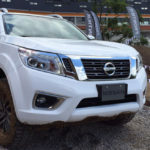 It also has a 650-litre loadspace (with rear seats up), high-speed 4G WiFi hotspot for you and 7 of your friends (up to eight devices) and is also equipped with the advanced Touch Pro infotainment system with 10-inch touchscreen and a 12.3-inch HD instrument cluster. The 2018 Jaguar F-Pace SVR has four interior colour themes for you to choose from – there is Red with Jet, Light Oyster with Jet, Siena Tan with Jet and Jet with Light Oyster stitching.